At the end of the business case stage of the design management in the project lifecycle, the owner should be better informed of all important design related issues and possible impacts on the project business case. Once the business case has been approved by the owner, the design manager can then proceed to the next stage of the project lifecycle, the outline design stage. Further to the design related information gathered for the preparation of the business case, the design manager should gather any additional design related information from the owner and other relevant sources. Identify any gaps in the information provided and seek to source this information as appropriate. This is the right to time to sit with the owner and review all the design related information and discuss the strategy forward to gather additional information. This is the time to now engage all the key design consultants that are required to develop the functional design brief and the concept design. It is critical that the consultant’s scope of work is clear for the level of input required in their contract agreement. Manage and coordinate the design consultant team to deliver the functional design brief and the concept design that will respond to and record all the owner’s requirements and needs and form the basis of the design to proceed for all the design disciplines. The functional design brief will be supported by concept design sketches and report, all of which provide an outline of the proposed design. The design management plan provides the roadmap for the way the design will be managed and needs to be prepared at this stage of the design process for best results. It is a key component of the project management plan prepared by the project manager. The design manager needs to manage and coordinate the development of the outline cost plan with the quantity surveyor, with input from all the relevant design consultants. All design related risks identified in the business case stage should be reviewed and expanded upon with the input of the entire design team. Any safety in design risks should also be identified. The design risks should then be assessed and their mitigation should be recorded in the overall risk register as the basis for use and management on an ongoing basis. The design manager should at this point arrange a value management workshop. Value management is a systematic review of the essential functions or performance of a project to ensure that best value for money is achieved. 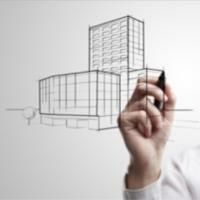 It takes an overall view of the function of the project as well as capital and recurrent costs. From the workshop, a value management report should be prepared, reviewed by the owner and any recommendations should be implemented. The design manager should now work with the design team to outline and define the planning approval process and coordinate this with the design process requirements. Finalise and present the functional design brief, concept designs and the outline design process results to the owner as an outline design report. This updates the owner, providing opportunity for comment prior to moving onto the next design phase. Once approved by the owner, then the design manager can then proceed to the next stage of the project lifecycle: The Schematic Design Stage.